These arsenic-laced waters may be our best weapon in the fight against antibiotic resistance. From the depth of what should be — by all accounts — a pit of despair, a new hope in the fight against antibiotic-resistant superbugs is emerging. The Berkeley Pit, located in southwestern Montana, is an abandoned open pit copper mine that contains a lake filled with toxic water. The water is acidic and laced with deadly arsenic as well as other metals. Most living creatures cannot survive in these waters, yet researchers are finding a host of organisms that can treat a variety of conditions. The team has discovered a cancer-killing fungus — along with organisms with anti-inflammatory and anti-aging properties — living in the toxic waters. In the lab, the researchers combined two species of Penicillium fungus and were delighted to find that the compounds produced by the bugs had the ability to destroy strains of antibiotic resistant MRSA, as well as the pathogens that cause anthrax, strep throat, and others. 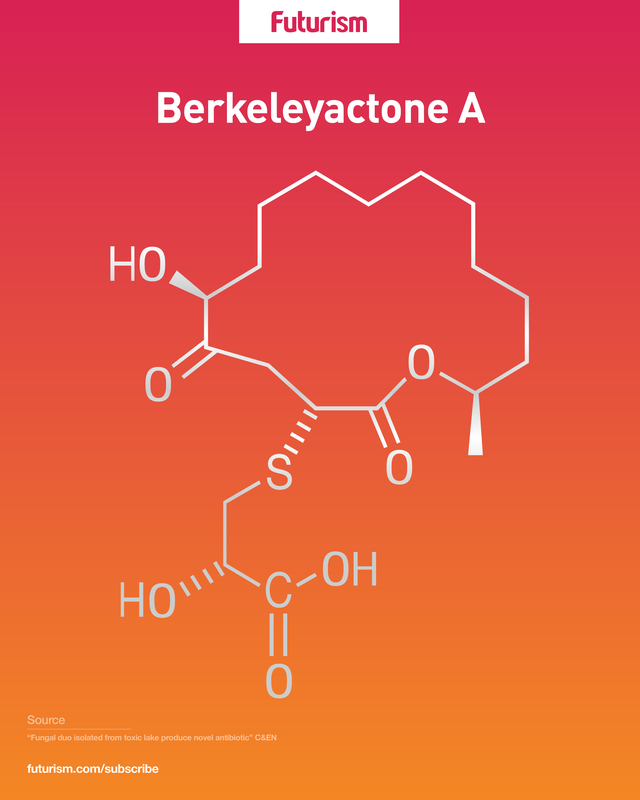 Researchers are still unclear about exactly how the compounds go about killing the pathogens — though they do know it’s unlike how any other antibiotic does. Even so, these findings are still preliminary, and there is no guarantee that they can be effectively turned into medication. Still, the discovery does inspire hope for the future of battling superbugs. As the dangers of antibiotic resistance are becoming more apparent, researchers are searching for novel ways to fight superbugs. Some scientists are studying species of ants to see if the compounds they create to protect themselves against fungi, bacteria, and microbes could be applied to humans. Other researchers are creating artificial compounds that can weaken superbugs so that conventional medications could once again become effective. Whichever way we end up battling them, it is a fight that we cannot afford to lose. Humanity will not be long for this world if these killer bugs continue to proliferate unchecked. Each possibility needs to be vetted with the greatest of scientific scrutiny.